For millions of Americans, Dec. 7, 1941, is a date that lives in infamy. They remember Japan’s surprise attack against the Pacific Fleet based in Hawaii as a pivotal moment that swept the United States into World War II and sealed the fate of the Axis powers. In “Pearl Harbor: FDR Leads the Nation Into War,” Steven M. Gillon, resident historian for The History Channel and history professor at the University of Oklahoma, provides a concise and informative account of Franklin Roosevelt’s initial response to the crisis. 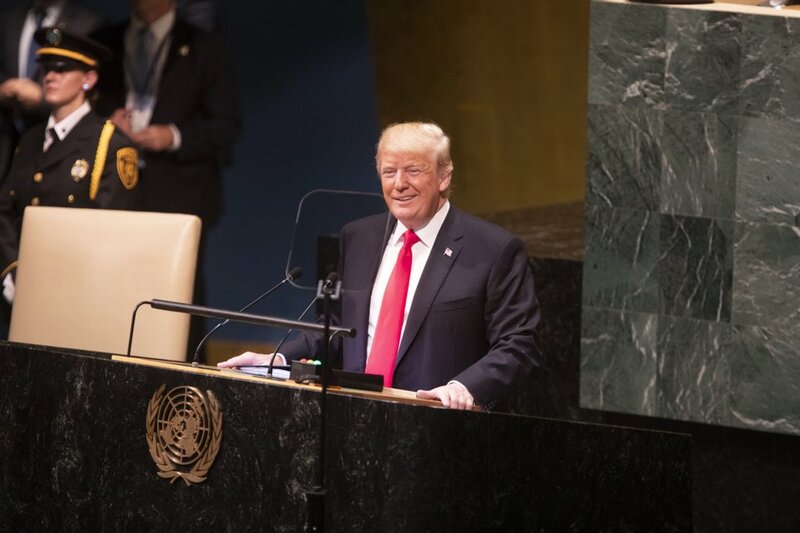 Against a backdrop of “chaos and confusion,” with no polls to guide him and little time for reflection, Gillon argues, the president exhibited extraordinary qualities of leadership, orchestrating a response that would reassure and inspire an anxious nation. Gillon agrees, however, that Roosevelt did restrict the flow of information to the press. Concerned that detailed damage assessments might embolden the Japanese and demoralize Americans, he ordered that briefings come only from the White House, and did not update casualty figures. These practices, Gillon claims, perhaps naively, would not be acceptable today. There is no doubt, however, that, for good and ill, the attack on Pearl Harbor transformed — and enlarged — the presidency. In one of many executive orders, Gillon reminds us, Roosevelt authorized the forced evacuation of more than 100,000 Japanese residents on the West Coast, many of them American citizens. For many years, Robert Jay Lifton has been recognized as a leading “psychohistorian,” or as he prefers to define his vocation, a “historically minded psychiatrist.” Psychohistory is the field of inquiry that explores the psychological motives of individuals and groups of historical actors, as well as the psychological impact of historical events. Lifton is perhaps best known as the author of “Death in Life: Survivors of Hiroshima,” published in 1967, which received a National Book Award. In that book, he described how the hibakusha, those residents of Hiroshima who survived the atomic bomb on Aug. 6, 1945, lived with deep and shameful feelings of being “inwardly poisoned” by their experience, as well as an embittered “sense of special knowledge” that set them apart from those who had not witnessed the horrors of the attack. Apparently not. Lifton, whose academic affiliations include stints at the City University of New York, Yale and, most recently, Harvard, has devoted himself to studying how individuals have coped with extreme circumstances: war, torture, genocide. In addition to Hiroshima survivors, his subjects have included Vietnam veterans, the victims of Chinese Communist “thought reform,” and German concentration camp doctors. The Cold War: A New History By John Lewis Gaddis Penguin Group 352 pp. [This review from the Monitor’s archives originally ran on Dec. 20, 2005]. Fourteen years ago, in December 1991, Soviet leader Mikhail Gorbachev told his country that the cold war was over. In signing the decree that dissolved the Soviet Union and ended the East-West competition, Gorbachev also announced an end to the arms race and the “insane militarization” that had “distorted” his country’s thinking and “undermined” its morals. And perhaps most significantly, he claimed “the threat of a world war” had come to an end. With the demise of the Soviet state, the world seemed ready to enter an era in which the fear of a catastrophic war would no longer stalk humanity. Many believed the perils of the cold war would give way to a more tranquil age. But it was not to be. Yesterday’s fear of intercontinental ballistic missiles raining down on New York or Washington has been supplanted by today’s fear of suicide attacks and dirty bombs. And now, when boarding a plane gives many people pause, one looks almost longingly at the postwar decades, when the United States seemed to understand its adversary and believed Russian leaders were unlikely to act irrationally. After all, the cold logic of the cold war meant a Soviet attack on the United States would lead to a swift and devastating response. As US leaders strain to manage America’s current overseas dilemmas, The Cold War: A New History by John Lewis Gaddis transports us to an earlier era. In luminous detail, Gaddis, the Robert A. Lovett professor of history at Yale, traces the history of the conflict that dominated world politics from the end of World War II to the early 1990s. How long ago it all seems. But unlike several of his previous books, which were intended for scholars, this one is aimed at a broader audience – for those who want to understand how the cold war began, how it unfolded, and why it ended when it did. BETWEEN 1933 and 1945, more than 14 million people in Poland, Belarus, Ukraine, Lithuania, Latvia, Estonia and western Russia were killed, not for anything they did but simply for who they were. Their political beliefs were suspect, they were the wrong religion or nationality or social class, they were too educated, or were simply judged to be in the way. This mind-numbing figure does not include the millions of soldiers killed in combat on the eastern front during the Second World War. It describes only non-combatants who were killed as the result of decisions knowingly made by Nazi and Soviet policy makers. This is why Yale University historian Timothy Snyder calls his comprehensive analysis of this European catastrophe Bloodlands. He argues that the deaths he describes were the result of competing Nazi and Soviet ideologies reinforced by the mutual tensions that existed between Nazi Germany and the Soviet Union. For the Nazis, Eastern Europe and the western Soviet republics were to be the basis of a new German empire, emptied of their inhabitants and peopled by Germans, embodying Nazi principles and providing food and raw materials for the fatherland. For the Soviets, control of Eastern Europe provided defence in depth and security for their vulnerable western borders in the war with capitalism that Stalin believed was inevitable…. Snyder’s decision to put aside the brutalized nature of combat on the Eastern front and the resulting millions of military deaths between 1941 and 1945 detracts from the grim story he has to tell. Life and death in the bloodlands were even more horrifying than he describes. Even so, Bloodlands deserves to be read. It is instructive history in every sense of the word. A UNIVERSITY Professor of Art History and History at Columbia University, Simon Schama is one of those exasperatingly prolific writers, that is, he writes damned thick books, and lots of them. To plough through Landscape and Memory, published in 1995, is somewhat the intellectual equivalent of cycling the Tour de France: relentlessly demanding, panoramic and exhilaratingly exhausting. The collection of essays, Scribble, Scribble, Scribble, is more like a long traipse through defined but unknown territory, a sort of Camino de Santiago, with stops along the way where you can re-gather yourself. The book is divided into eight sections, ranging from “Travelling” to “Performing”, and from “Cooking and Eating” to “Remembering”. You can stop in where you like, and move on when and where the spirit takes you. 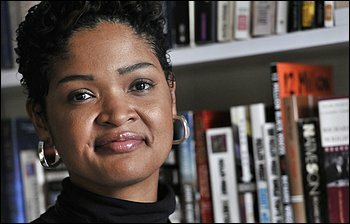 Dolen Perkins-Valdez was reading a biography of W.E.B. DuBois when she came across the small aside. It was piece of history she hadn’t known, and couldn’t stop thinking about. What she did first was wonder: How would they have gotten there? And what did the resort look like? Then she asked: Why would a slave taken to a Northern free state not run? Amid the horrendous slaughter of the Civil War, people from all denominations turned to their faith to explain and justify the causes for which they fought – and to find reasons for pressing on. A new book by a University of Alabama professor takes up this essential topic in American history,150 years after the start of the war. “Many Americans interpreted the causes and the course and the consequences of the war in religious terms,” said Dr. George C. Rable, Charles G. Summersell Chair in Southern History at UA. “Religion was an important part of their motivation, it’s an important part of sustaining the war effort, and it helped people justify the horrendous sacrifices that the war required. Rable researched and wrote this volume over the course of nine years; he relied extensively on primary sources, including journals, politicians’ letters and denominational records. Of particular interest to Rable were the many published sermons from preachers in a variety of denominations and religious newspapers, which published many articles about the war. Ideas about sin, divine providence and judgment pervaded religious tracts and discussions of the time, Rable said. Both Northerners and Southerners believed that God was on their side, and that divine providence favored their efforts. In fact, the Civil War can be seen in part as a conflict over biblical interpretation – what did the Bible say about slavery and God’s will? 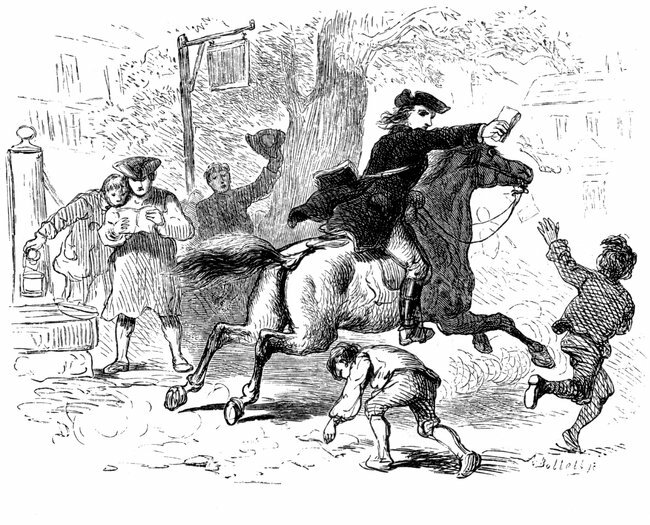 As the war grew more horrific and the fortunes of each side waxed and waned, preachers and other believers began seeing the war as a kind of judgment, either against the sin of slavery or for some other misdeeds. “The Confederates thought they were being punished not for holding slaves but for not doing it in the right way – for splitting up families, for not teaching slaves how to read the Bible, for not providing religious instruction, for cruel treatment – that sort of thing,” Rable said. “Slavery was fine according to their way of thinking, but individual slaveholders had been guilty of essentially violating divine law and not treating their slaves properly. Rable’s book encompasses a wide range of religious expression in the United States at the time, including Roman Catholicism, Mormonism and African-American religion. Roman Catholics had their own conflicted attitudes toward the war, as expressed in the Roman Catholic press at the time. “God’s Almost Chosen People” also contains many anecdotes that illustrate how religion played an essential part in the war. For example, swearing was a big issue – Stonewall Jackson, Rable noted, believed that God would not bless soldiers in battle if they went in swearing. But the war helped forge bonds across sectarian lines as well. For example, Rable recounts the experiences of the Rev. Joseph Twichell, a congregational minister, and Father Joseph B. O’Hagan, a Jesuit priest, who were thrown together as chaplains in a New York regiment. Rable noted that despite the extensive scope of his volume, the subject of religion during the Civil War remains so vast that still more materials await researchers. “One of the problems with the project is that there’s material on religion everywhere,” he said. “I still run across new information. I never tired of researching it and writing about it, and there’s still much work to be done on the subject. Samuel Moyn‘s The Last Utopia traces the history of human rights policy. Human rights—the notion that the protection of the immutable rights and freedoms of every individual on the planet supersedes all other concerns—did not always enjoy this prominent place in our political debate. Most historians have located the ideology’s origins in previous eras, from the ancient Greeks and Hebrews to the Enlightenment to post-World War II. 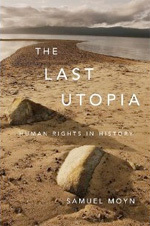 In his erudite new book, The Last Utopia: Human Rights in History, Samuel Moyn proposes a more recent source. He argues that it was only in the 1970s, when other utopian ideologies—socialism, anti-colonialism, and anti-communism—fell by the wayside that human rights assumed its stature as the ultimate moral arbiter of international conduct. As Moyn tells it, human rights might trace its philosophical lineage to earlier times—few ideas emerge from the intellectual womb as orphans—but its dominant role was not assured until a particular point in time. He takes issue most forcefully with the belief that human rights’ ascension was an answer to the extermination of European Jewry. “Contrary to conventional assumptions, there was no widespread Holocaust consciousness in the postwar era, so human rights could not have been a response to it,” he writes. First, some arbitrary rules that have guided my selection of titles. I’ve only included books published after World War II, which means I’m leaving out a long shelf of good books issued before the second half of the 20th century, some of which still stand the test of time. Out of necessity, I’ve narrowly defined the universe from which I have picked my top dozen. For example, I’ve not included any biographies on this list — an exclusion that some may find indefensible. No series or multivolume works are included here either, which means that Allan Nevins’ majestic “The Ordeal of the Union” (eight volumes), Bruce Catton’s “Centennial History of the Civil War” (three volumes), and Shelby Foote’s very popular “The Civil War” (three volumes) are not to be found below, despite the fact that they all qualify as masterpieces. What’s more, I’ve stuck to only nonfiction titles, so fans of Margaret Mitchell’s “Gone With the Wind” or Michael Shaara’s “The Killer Angels” (both winners of the Pulitzer Prize) will be disappointed to see these novels missing from my list. In any event, here are a dozen books that, for me, tell the story of the Civil War with literary elegance, intellectual gusto and enormous flair…. On January 8, 1811 a group of determined enslaved Africans set into motion a plan to rise up against slavery and take their destiny into their own hands. Vowing to cast the shackles that bound them to the sugar cane plantations just west of the Crescent City, these ambitious warriors carved out a place in history for themselves that some have sought to bury for two centuries. While many are familiar with the stories of uprisings led by Nat Turner, Denmark Vesey and John Brown, a significantly fewer number of people know the story of revolutionaries Charles Deslondes, Harry Kenner, Kook and Quamana who led a group of enslaved Africans toward a vulnerable New Orleans during the annual Mardi Gras celebration in hopes of gaining their freedom. That is about to change. American Uprising, a new book written by Daniel Rasmussen and slated for an early January 2011 release tells the story of the planning and execution of this uprising and its aftermath. Rasmussen, a recent Harvard University grad, says he began researching and writing the book about three years ago after stumbling upon the story of the revolt while working on his senior thesis. “In a lot of history about slavery there were only three sentences about this revolt, the largest slave revolt in America,” he told The Louisiana Weekly. “Very little was known about it. The more I came upon this in different books, I said to myself ‘I’ve got to figure this out.’ I’ve done a fair amount of investigative journalism so the idea of looking into something that other people didn’t know about and I think some people have consciously tried to keep secret was really intriguing to me. A South Carolina State University professor goes beyond the traditional understanding of the Civil War’s causes in his new book. History professor Stanley Harrold explores the conflict and bloody violence over slavery in the border states in his latest book, “Border War” (University of North Carolina Press). The author of seven previous books about the Civil War, Harrold offers documentation of incidents involving factions other than just pro- and anti-slavery forces. “All of my books have dealt with the years leading up to the Civil War,” Harrold said. “These involved the abolitionist movement and the resulting conflict in the North-South border states. Harrold contends the border states of Delaware, Maryland, Virginia, Kentucky and Missouri were the tinderbox where people with varying views on slavery met face to face. The book covers what Harrold says are two main phases to the border conflict. 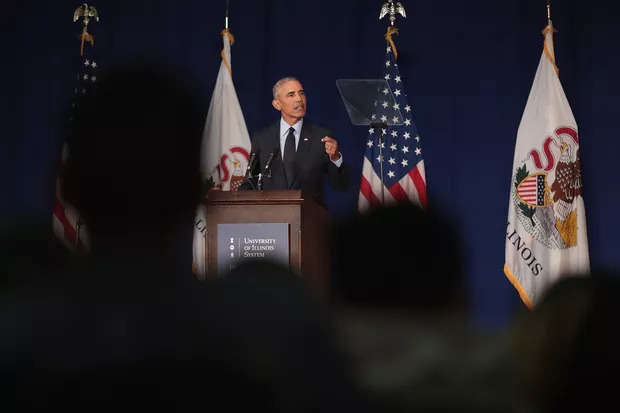 “The first was, as time went by, the border slave states came to realize they needed to get slavery protection from the federal government,” Harrold said. “If they secede from the Union, they won’t be covered by federal laws allowing recovery of runaway slaves. That led them to stay with the Union. David McCullough’s latest book project did not begin with a president or a great war. It started with his friendship with Larry H. Miller, the late owner of the Utah Jazz basketball team. “He was a phenomenal success in business and a success at almost everything he touched. Here’s a fellow who had little education, who fairly late in life became interested in American history and interested in how teaching could be improved, a subject close to my heart,” McCullough, the Pulitzer Prize winning historian, said during a recent telephone interview from his home in Maine. Miller died in February 2009. In December, McCullough was among the guests at the annual Mormon Tabernacle performance on Temple Square in Salt Lake City, where he discussed two Christmas songs, “O Little Town of Bethlehem” and “I’ll Be Home for Christmas,” and their ties to a Christmas Eve ceremony at the White House in 1941, less than three weeks after the Japanese bombed Pearl Harbor. President Franklin Roosevelt spoke briefly from the White House balcony about celebrating a holiday during wartime, then introduced a surprise guest, British Prime Minister Winston Churchill, who had secretly crossed the Atlantic Ocean to appear with Roosevelt. David La Vere was going through back numbers of the Journal of Southern History when he found an intriguing item from May 1938. A team of Emory University scholars had examined a 21-pound rock found near the Chowan River in northeastern North Carolina – probably a ballast stone from an early English sailing ship. Scratched on the stone, in Tudor English, was what seemed to be a message from Eleanor Dare, one of Sir Walter Raleigh’s “lost” Roanoke colonists of 1587, telling her father what had happened to the colony and where to find the survivors.